Patient access to electronic health information through the Blue Button project pioneered by the Veterans Affairs Department in 2010 will literally save lives, federal Chief Technology Officer Todd Park said Monday. Speaking at the Health and Human Services Department Consumer Health IT Summit, Park described Blue Button as a “movement” — embraced by individual doctors, large health care providers and insurers — that allows patients to access their data and share it with their clinicians and family members. Blue Button has already been adopted by 500 insurers and health care organizations that collectively cover 100 million people, nearly one-third of the U.S. population, according to Lygeia Ricciardi, director of the consumer electronic-health office at HHS. Robert Tagalicod, director of an electronic health office at the Centers for Medicare and Medicaid Services said one million CMS patients already use Blue Button to access their information. 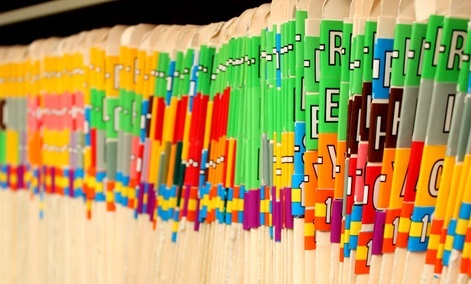 As of next Monday new regulations will require clinicians to offer patients records in an electronic format for a nominal fee, according to Leon Rodriguez, director of the HHS Office for Civil Rights. He emphasized that under the Health Insurance Portability and Accountability Act, or HIPAA, patients are entitled to their records, whether electronic or paper. When VA started the Blue Button project, it initially provided data in plain ASCII text but now also provides continuity-of-care data to veterans in machine readable and “actionable” format, Marina Martin, VA CTO told the conference. Martin said that the VA also has plans to make X-ray and other clinical imaging data available to veterans through its Blue Button portal. Pharmacy giant Walgreens — with 8,000 stores located within five miles of 75 percent of the U.S. population — has embraced Blue Button with both desktop computer and mobile apps that provide customers with, among other things, a downloadable PDF file of all their prescriptions, according to Adam Pellegrini, vice president of digital health at the chain. The most popular mobile developed by Walgreens allows consumers to scan a prescription barcode for automatic refills, Pellegrini said. Park said investors have “bit big on Blue Button,” which Farzad Mostashari, national coordinator for Health IT, said shows how a good idea developed and incubated by the government has filtered into the private sector. Credit reporting firm Experian plans to develop secure storage for patient health information, according to Mark Kapczynski, vice president of corporate development and strategy for the Consumer Direct division of the company.